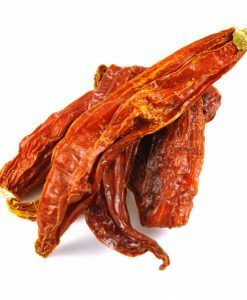 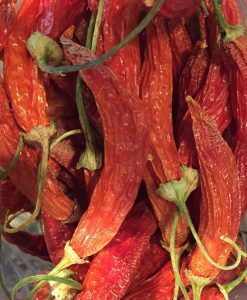 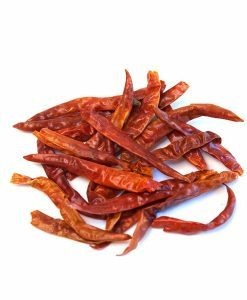 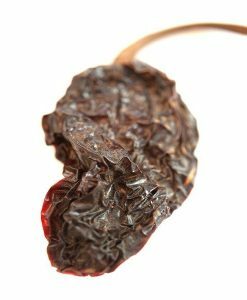 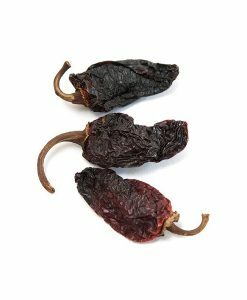 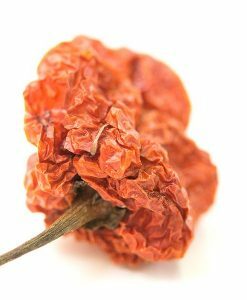 De Arbol Chile Peppers, Whole | Nomad Spice Co. 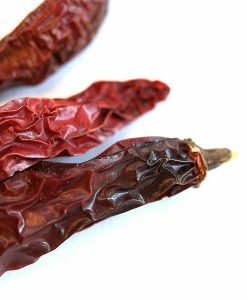 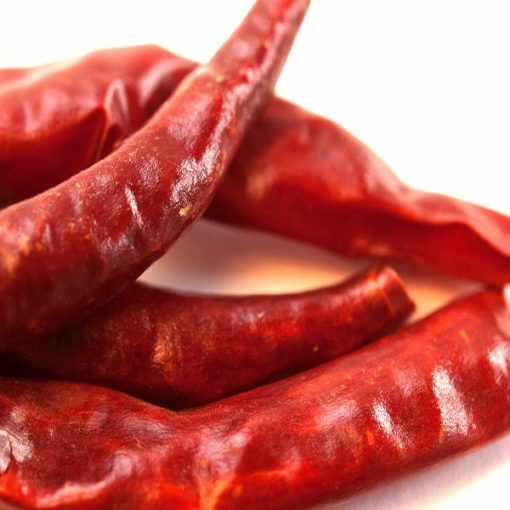 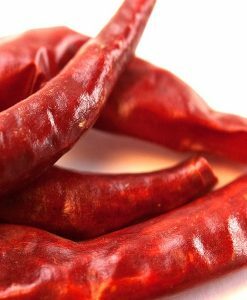 The De Arbol Chile is known for its thin flesh, searing heat and woody stem. 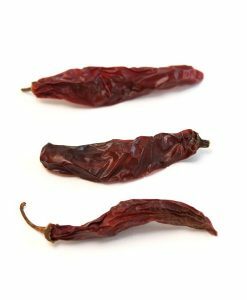 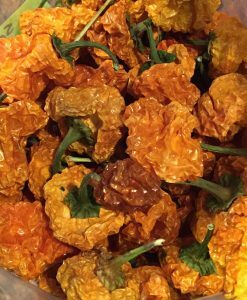 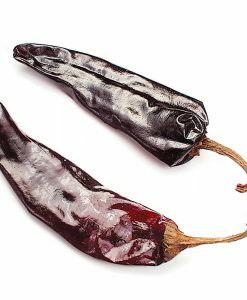 Unlike many other chiles, these retain their bright, rich color through the drying process. 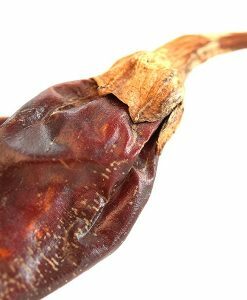 The tough woody stem must be ripped out and discarded before use as they are totally inedible. 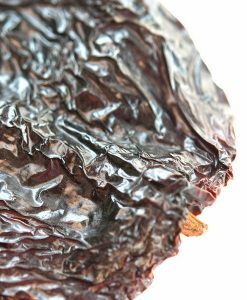 In fact, the name “de arbol” means “treelike,” in Spanish. 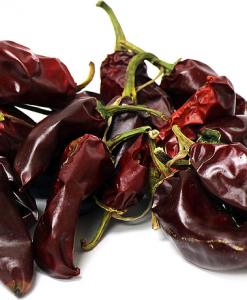 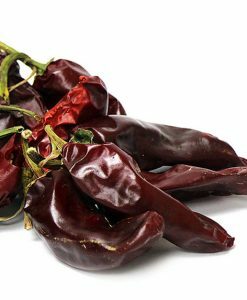 These chiles are equal to cayenne in heat and have a slight red bell pepper flavor. 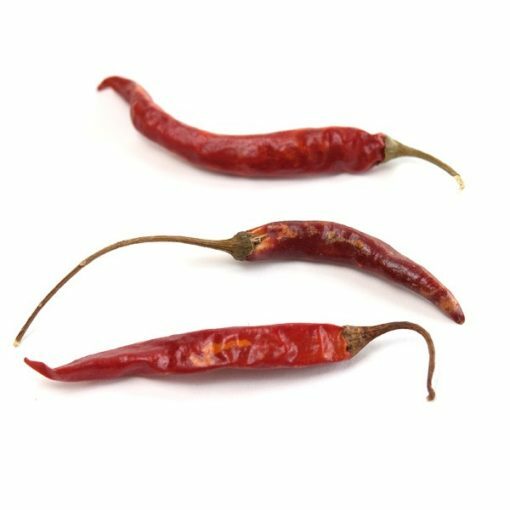 Blended with salt, olive oil, parsley, lime zest, garlic, and cilantro, De Arbol Chiles make for an authentic chimichurri to pair with grilled meats. 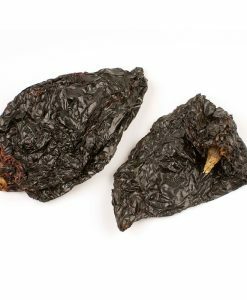 Use to season the pork filling for tamales, heat up chili, soups, and stews. 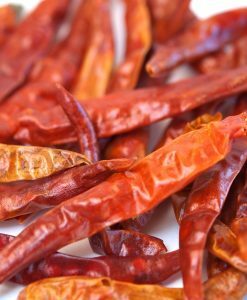 Toast them and then grind them into a powder to season red chile sauces or create a spice rub. 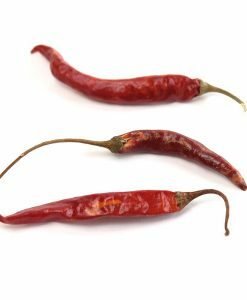 They are often used to make wreaths or other decorative items.